Whether it is with strategic partners or customers, partnership is in our company foundations. The work we undertake is challenging, it requires communication, understanding and experience with the human aspects of business in addition to technological knowledge. We invest in our partnerships and many times we invest with our partners who share the same vision. Through this cooperation, we bring multiple perspectives to the services and solutions we bring to market. SAP is the world leader in enterprise applications in terms of software and software-related service revenue. 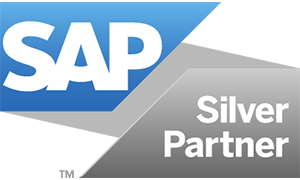 Our partnership with SAP is considered strategic and vital to our core business and we work at all levels with the SAP organization to maintain constant alignment on solutions and future direction. msg has been a long term development partner for SAP, having already developed the solutions SAP Accounting for Insurance Contracts (Insurance Analyzer) and SAP Profitability and Performance Management (FS-PER), and is contributing to SAP Financial Products Subledger. Additionally, our msg.IoTA (Internet of Things Analyzer) integrates with SAP Vehicle Insights™. The IoTA solution gained recognition with the SAP & HERE IoT Challenge Award (2016). Our history with SAP dates back to 1998, when our sister company msg began to co-innovate on solutions for the reinsurance market. Between 1980 and today at least 5 co-developed solutions from msg group and another 3 from msg global solutions appear on the SAP price list. There are also numerous product extensions and integrations. Companies under the msg label have received consistent recognition for excellence from SAP, including the SAP Pinnacle Award, SAP Best New Solution award, SAP Best Implementation award and an SAP Diamond Circle award. msg global solutions also maintains a partnership with SAP Hybris®. Our teams work closely together on the development of industry-specific content for insurance and banking. Netconomy is a leading provider of premium omnicommerce solutions. For more information, please visit the Netconomy website. Life insurance and reinsurance solutions that bring clarity to complex problems, drive positive change and make life simple. For more information, please visit the LOGiQ3 website. HYVE, an innovation agency, deploys modern market research tools and methods to give in-depth insights into markets by examining and identifying customer needs. Website HYVE. Plaut IT Australia is one of the largest locally owned providers of specialty SAP consulting and technical services in that country, on premise and on the cloud. Plaut’s national team of more than 150 people delivers business solutions to blue chip enterprise and government clients. Website Plaut IT Australia. HERE enables people, enterprises and cities around the world to harness the power of location and create innovative solutions that make the world safer and more efficient. Website HERE. Ploetz + Zeller is a leading software and consulting company which aims to optimize their customer’s business processes in an active and professional manner. The Munich-based company develops innovative BPM solutions. With their integrated, digital management suite “Symbio“, Ploetz + Zeller enables customers to connect people, knowledge and systems. To learn more, visit Ploetz + Zeller website.